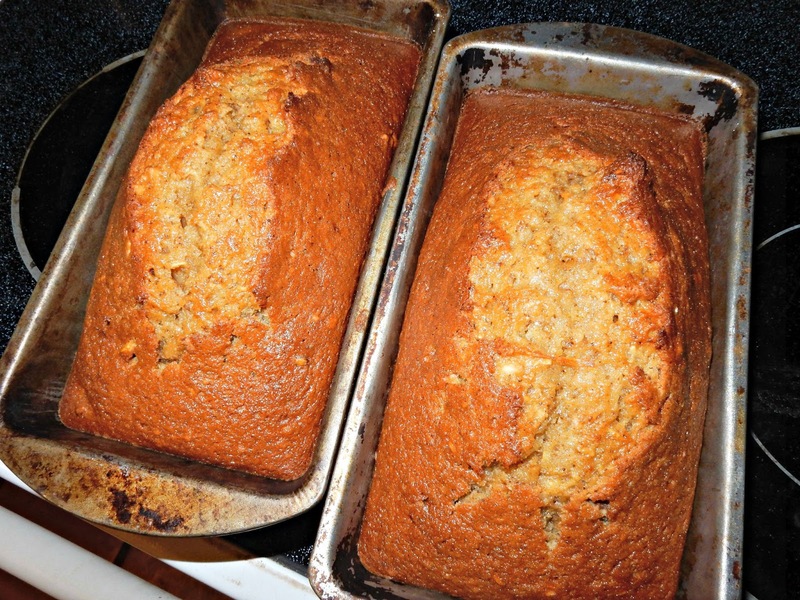 Cushaw squash makes an excellent pumpkin style bread. My boys adore it. And since Cort recently came up with an intolerance to pumpkin, it is a good alternative. Preheat oven to 350*. Mix together sugar and oil. Add eggs and squash and mix well. Add dry ingredients, mix. Pour into greased and floured bread pans. Bake 80 minutes or until tester comes out clean. Cool slightly before turning out. Don't have a cushaw squash handy? Try substituting pumpkin. well for heaven's sake I have not heard of cushsaw squash, I wonder if we have it here. Your pumpkin hummus without the smoked paprika (couldn't find any) and chickpeas was a huge success, so thanks for sharing. That is what we have used for years though everyone calls it cushsaw pumpkin even some of the seed places. It must be different from pumpkin as it doesn't bother Cort. Pumpkins were always coarser to me so we used these for cooking. Pumpkin butter made from them is good but not safe to can so they tell us now. It is made similar to apple butter and is really good on fresh baked bread. This looks so good! I love squash, pumpkin, zucchini, and banana breads. They are yummy! That looks delish! Aren't squash just an amazing food: steamed, baked, for pies, bread, puree for ravioli, squash gnocchi... and by the way, thank you for the reminder of apple butter in my slow cooker. The last of the apples going that way. Now that I can get your posts through email, I always read them... Loved your 'car kit' ---and we all (even those of us who don't have kids) should have one. Thanks. That bread looks awesome. Bet it is really moist. Thanks for the recipe. I have been hoping to get lots of pumpkin and squashes from my garden this season. We have pumpkin bread sometimes. I like it with lots of real butter. Never had squash bread though. oh it looks so yumy! Looks delicious! And I like pumpkin so I'd probably like that too. I can imagine the smell.. mmm..